Has your law firm been penalized by Google? Being hit with a penalty by Google can feel like the end of the world. Your website’s traffic drops nearly overnight, your phone quiets down, and you’re probably wondering what your marketing company did to cause this to happen. Luckily, Digital Law Marketing’s search engine optimization specialists have helped law firms just like yours recover from every type of penalty there is. To help put your mind at ease, below is some information regarding the three major penalties that impact most websites. Panda was an update originally released by Google in February of 2011, and was one of the most impactful updates Google has released to this day. Since that date, there have been 28 more confirmed updates to the algorithm. This algorithm is now “real-time” and has been running regularly since July of 2015. 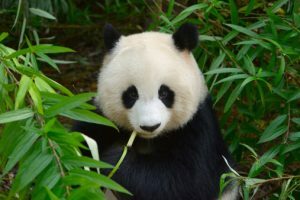 The focus of the Panda algorithm is identifying weak or “thin” content and demoting it in the search engine results, so that the cream can rise to the top. Your law firm now has to provide strong, substantial content to give you the best chance at outranking the competition. The most recent Penguin update removed the “penalty” element of the Penguin algorithm (what many incorrectly called “jail”). Rather than penalizing websites, the Penguin algorithm will simply treat these links as if they are not there. However, that does not mean that you are in the clear from all link penalties and can go and build links wherever you want. Google will still penalize sites algorithmically as well as manually for link spam. 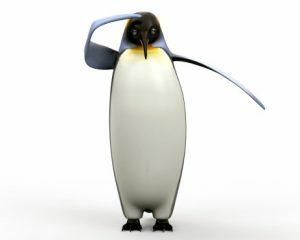 Penguin also now runs real time! This is the easiest of the three major penalties to identify, because Google will send you a message in your Google Search Console telling you that you’ve been penalized and why. Manual penalties are most often incurred because someone reported your domain for tactics that go against Google’s policies. These penalties can also occur when Google penalizes other sites, such as known links schemes or blog networks. The penalty can trickle down to you as well. Just because you’ve recovered doesn’t mean your rankings and traffic will bounce right back. 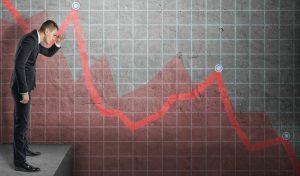 Often, there are some signs of recovery (how much often depends on which algorithm hit your domain), but you will almost never immediately bounce back to where you were prior to being penalized. Remember, your domain likely lost a lot of link value from all the disavowing and link removals. The other half of recovering from all of these penalties is how you move forward after cleaning up the mess. Continued authoritative white-hat link building practices, high quality content, and staying off Google’s radar in the future are all concerns you should have, even after your domain has recovered. At Digital Law Marketing, it’s our practice to not only deal with the negative signals, but to attempt to overpower them with great content and positive link signals. This leads to strong growth once the issue has been dealt with. If you’ve seen a significant drop in your traffic and leads, contact Digital Law Marketing, Inc. today for a free website review. We will let you know if we believe you’ve been hit, and which algorithm is likely impacting your traffic.